A system called “Triangulation” has been developed by some smaller forex traders and it has been shown to achieve good results with binary options trading. 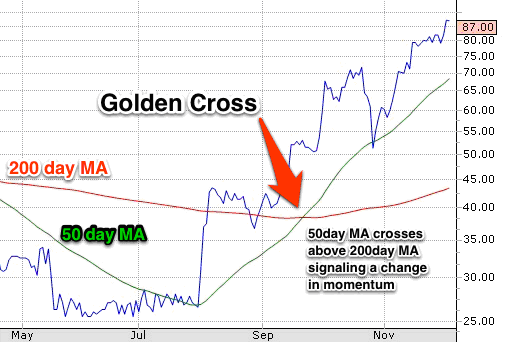 Another name for this trading method is “Trading With Crosses”. What is Trading With Crosses? Trading with crosses, or triangulation, is a technique where a trader trades the crosses made between a pair of currencies in addition to trading between the two different currency pairs. For example, if a trader wishes to trade the currency pairs EUR/GBP and EUR/JPY, they would trade the cross too and execute a trade on GBP/JPY. Here is a clearer explanation of how trading with crosses works: Binary options trading can be regarded as a fixed bet – a trader knows exactly how much they stand to profit by and also how much they stand to lose when they execute a trade, and there are no other outcomes possible. When a trader trades with currency pairs, each currency has two variables which are possible as each is able to go either down or up. If a trader trades between 2 different currency pairs and one currency of each of the two pairs is the same, they can then add the cross that is between the pairs to the trade. This tends to maintain balance in the pairs as having a currency in common between all three pairs, they will stay in sync. This is the basic idea that lies behind the theory of trading with crosses. If a trader wishes to trade with the EUR/GBP currency pair and the EUR/JPY currency pair and believes that the Euro will go up in value, they can then add the cross between the pairs i.e. GBP/JPY. The trader will then place a call of each of the three trades. If they are correct in their prediction and the Euro does go up, the trader will finish in the money on both the EUR/GBP and EUR/JPY trades. If the Pound increases in value, the trader will also find that they finish in the money on two of their three trades as they will be able to cash in on both the GBP/JPY and EUR/JPY trades. Of course, there is also a losing scenario involved. Should the Japanese Yen increase in value, a trader will make a loss, however they will still be able to cash in on one of their trades – the EUR/GBP pair. In this way, it is easy to see how the triangulation of trading with crosses trading technique is able to minimise a trader’s possibility of losses as it is always most likely that they will be able to finish in the money on at least one of the 3 trades that they executed. It is therefore simple to see why trading with crosses is now one of the most popular trading techniques in binary options trading as it helps to maximise a trader’s profit while also giving. The Elliott Waves Theory Impossible Without Fibonacci Tools. Here’s Where And How To Use Them.